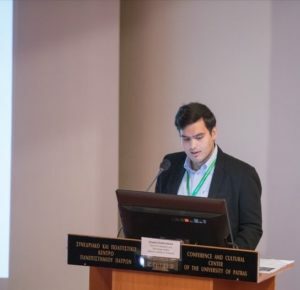 Charis Chalkiadakis holds a diploma in Rural and Surveying Engineering from the Faculty of Engineering of the Aristotle University of Thessaloniki (A.U.Th) and he works as a Research Associate at the Hellenic Institute of Transport (H.I.T.) of the Centre for Research and Technology Hellas (CE.R.T.H.). He has presented and published over 10 research papers in international conferences and journals on Intelligent Transport Systems (ITS) and Cooperative Intelligent Transport Systems (C-ITS). He has also participated in EU-funded projects as well as in projects funded by national funds.